Its May Day! May Day is a public holiday usually celebrated on May 1. It is an ancient northern hemisphere spring festival. It is also a traditional spring holiday in many cultures. Dances, singing, and cake are usually part of the celebrations that the day includes. We cannot dance with you today but we can organise another #giveaway today! 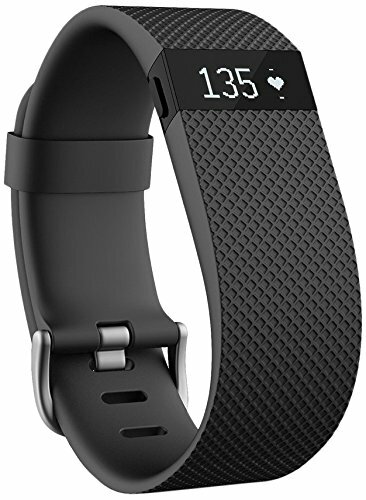 #Win this Fitbit Charge HR Wireless Activity Wristband today! Courtesy from Roman Twelve Group. Send us a message on why you should #win this gift! • Certain features like Auto Sleep Tracking and SmartTrack may be disabled when using this accessory. Classic accessory bands are the recommended accessory for high intensity workouts and sleep tracking. • Do not wear the Flex 2 Pendant accessory while sleeping or during high intensity activity, as doing so could create a choking hazard. • Flex 2 Pendant accessories contain magnets. Magnets may interfere with pacemakers, defibrillators, or other medical devices. Consult your physician and the manufacturer of your medical device before using to determine if these accessories are safe for you. If the accessories may be interfering with your pacemaker, defibrillator, or other medical device, do not wear the accessories. Move it up: Since blood increases further up your arm, wear your tracker higher on your wrist to improve the heart rate signal during workouts. Start by moving the device up to three finger widths above your wrist bone, then experiment with slightly lower placement. Keep it secure: The less your tracker moves during exercise, the more chance you have of maintaining a heart rate signal throughout the activity. Do not wear the band too tightly, as this can restrict blood flow and goes against our wear and care guidelines. Hold steady for ten seconds: High intensity exercises or activities that cause you to keep your wrist bent (like push-ups) or move your arms vigorously (like dance) may interfere with heart rate signals. If you stop seeing a signal during these types of activities, hold your wrist steady for ten seconds during breaks to get your reading.